I read the news today, oh boy– Tuesday January 21, 1969- the first full day of the presidency of Richard Milhous Nixon. What else was going on? In what was to quote Woody Allen- ‘a travesty of a mockery of a sham.” In New Orleans jury selection began on the opening day of the only trial of a person accused of conspiracy in the assassination of President John F. Kennedy. The District Attorney of Orleans Parish- Jim Garrison indicted a retired New Orleans businessman Clay Shaw of conspiring to have JFK wacked. The jury would only take an hour to acquit Shaw of any wrongdoing. In the early 90’s Oliver Stone would base his cartoonish movie JFK on Jim Garrison and try to make him a hero seeking justice. It’s a shame but a lot of peoples knowledge of the assassination is based on this movie which seems to throw every conspiracy theory ever thought up into the film. Shaw may have been an unsavory character but there was no evidence that he was involved in anything of the sort- of killing an American president. One interesting note though on the trial- Garrison was able to subpoena from Life magazine which owned it- the Zapruder film of the assassination and this was the first time it was shown to the American public- the jurors. Clay Shaw’s life and reputation was destroyed. He would die at the age of 61 in 1974 of lung cancer. Garrison lived to play Earl Warren in the farce that was “JFK” and died shortly afterwards at the age of 70 in 1992 also of cancer. The Lucens nuclear reactor located near the town of Lucens in Switzerland had a partial nuclear meltdown. This occurred after the reactor core suffered a loss of coolant accident. They didn’t have the scale back then but today it would be rated as a Level 4 incident. The Underground cavern where the reactor was housed suffered massive radioactive contamination but the surrounding area was not irradiated and the cavern was then sealed off. Call it a very close call. Also on this date the National Hockey League held it’s 22nd All-Star Game at the Montreal Forum in Montreal. 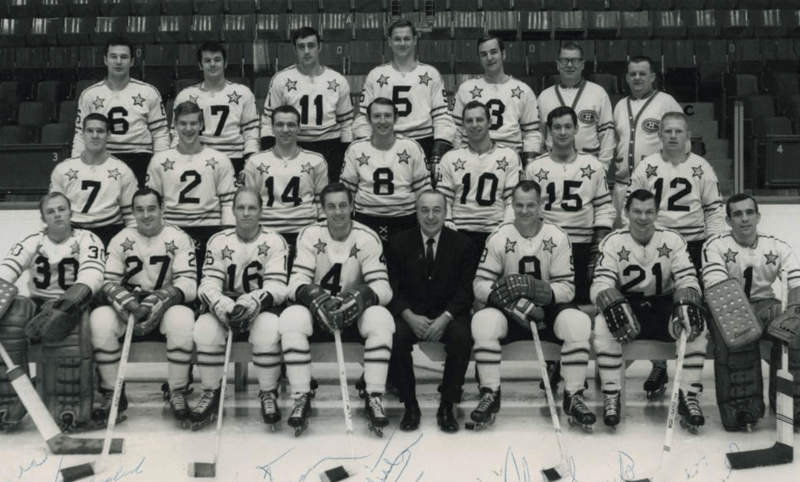 The game ended in a 3-3 tie with Frank Mahovlich of the Detroit Red Wings who scored 2 goals being named the MVP. 16,260 attended the game. Some of the all-time hockey immortals who played in the game- Bobby Orr, Gordie Howe, Bobby Hull, Jean Beliveau, Phil Esposito, Stan Mikita, Jacques Plante and Glenn Hall.